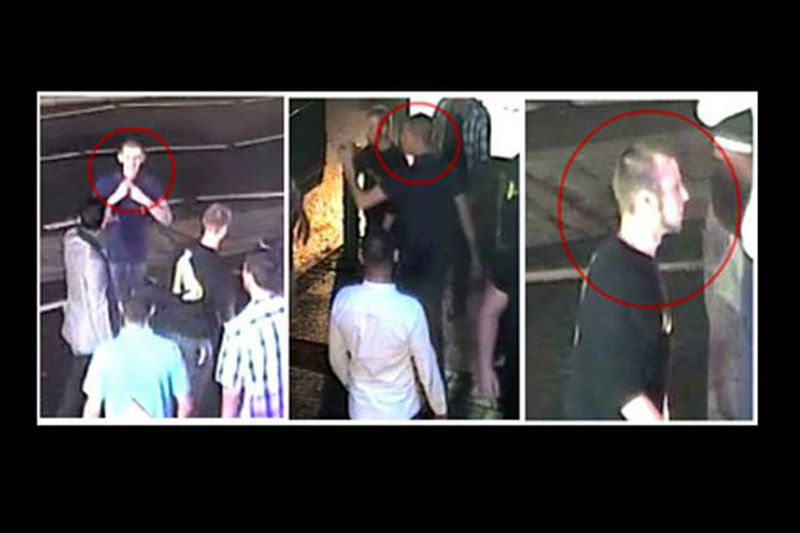 Police have released CCTV images of three men wanted over a racist attack on a Birmingham taxi driver. The victim pulled up outside a club in Broad Street in Birmingham city centre after being flagged down by a group of men. The men asked to go to Smethwick but refused to pay the fare in advance when asked by the driver. The men then attacked the cab and shouting racist insults at the driver, who tried to get out of the car and flag down help. But after leaving the vehicle he was punched repeatedly, suffering a broken jaw and severe bruising. Detective Constable Sarah McDonnell, said: "Due to the language used during the attack, we are treating this as racially motivated. "We take all reports of hate crime extremely seriously. It it will not be tolerated and we are determined to bring those responsible to justice. "Despite numerous inquiries at the scene - speaking to witnesses and gathering CCTV - we are yet to identify those behind the assault. "We are now keen to speak to the men circled in these images as we believe they may have information relevant to our investigation. I would urge anyone who knows their identity to call us." The incident happened on about 3am on August 2 in Broad Street.